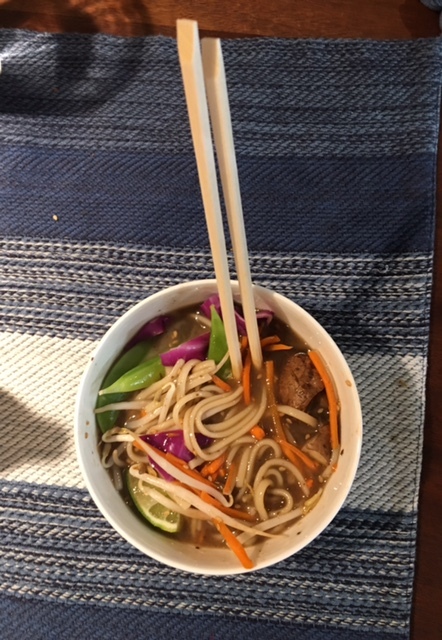 I crave noodle bowls now that I'm in the suburbs where they are not as readily available. This warm Meatless Monday recipe was enjoyed by all four of us and a cleansing and needed way to start the week. Bring stock and ginger to a boil and add noodles, mushroom and tofu. Allow to simmer about five minutes. 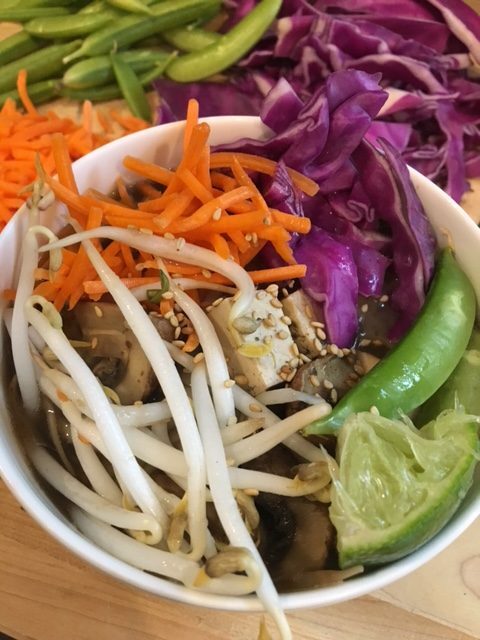 Spoon soup into bowls and add veggies to broth. Then add lime, seeds and sauce. To receive each article in your inbox type your email address in the box below and click the "create subscription" button. My list is completely spam free, and you can opt out at any time.